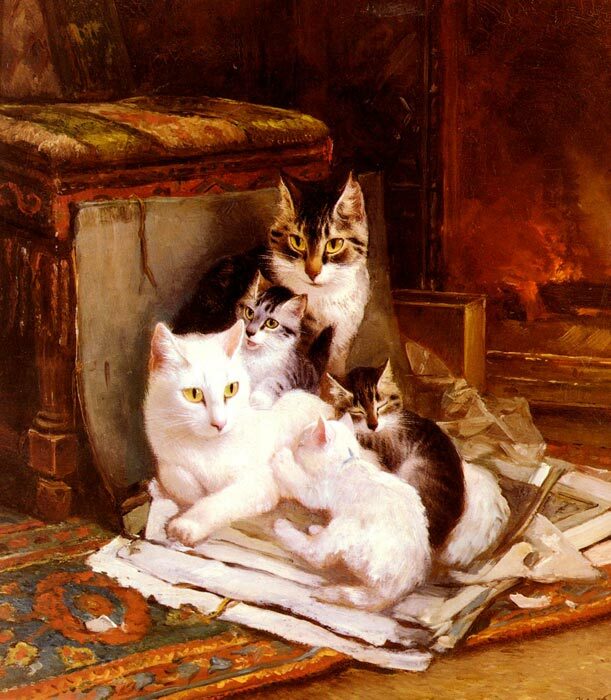 In her cat paintings, Ronner-Knip concentrated on animal scenes in the lush Belle Epoch interiors popular at the time. The animals have individual personalities and almost human characteristics - The Happy Litter. SPECIAL NOTE : The painter will make the reproduction as close to the original oil painting as possible. If you want your painting to alter from this likeness, please email us and " The Happy Litter " will be reproduced according to your special requirements.